14 states, as well as Puerto Rico, the District of Columbia, and dozens of other United States cities have banned conversion therapy. “As a survivor of the abusive practice of conversion therapy, the introduction of the Mental Health Protection Act, in support of LGBTQ youth provides clear evidence that change is coming to the South,” said the Head of Advocacy and Government Affairs for The Trevor Project, Sam Brinton, in a press release. Also introduced was HB 515, a full repeal of HB 2, the bill which repealed Asheville’s trans-inclusive nondiscrimination ordinance and barred transgender people from using public restrooms throughout the state. The passage of HB 2 was widely panned, portending a substantial hit on the state’s economy and leading to the electoral defeat of the law’s champion, former North Carolina Governor Pat McCrory. McCrory’s successor, Roy Cooper, was eventually able to broker a compromise to partially repeal HB 2, but that bill, HB 142 did not go far enough, keeping in place prohibitions against municipalities from enacting any LGBTQ nondiscrimination protections until the end of 2020, and reserving the state’s power to enact restroom legislation. The new bill will remove those restrictions. Finally, legislators introduced the Equality for All Act, HB 514. As its name implies, HB 514 would protect LGBTQ North Carolinians from discrimination in credit, education, employment, insurance, and public accommodations. It is the most comprehensive nondiscrimination legislation ever introduced in the state. Activists were ecstatic about the bills. 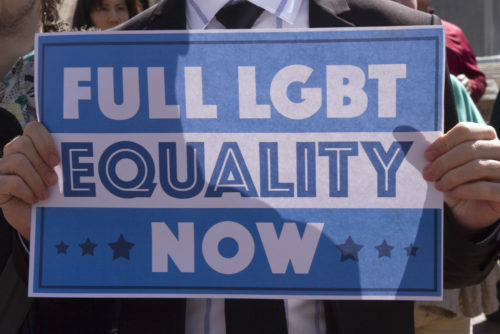 “North Carolina is changing, as is the entire South, because of the courage and resilience of LGBTQ people and those who love and support us,” said Executive Director of the Campaign for Southern Equality, Rev. Jasmine Beach-Ferrara. The bills signal a rapid turnaround in North Carolina.